If you so choose to explore the dimensions beyond your structural consciousness – and seek expansion of how you might define spatial extent – you will find Interdimensional Transmissions. For more than 20 years the Detroit label has been creating inspiring techno, and continues to develop a realm to truthfully reunite with music, the concept of self, and universal consciousness. Detroit native Brendan M. Gillen, otherwise known as BMG, founded Interdimensional Transmissions in 1994. “I was born in Detroit and raised in the dream of where the edge of the forest and the city meet, that so much of Michigan urban sprawl is based on. I grew up on Detroit radio with the likes of the Mojo and the Wizard (Jeff Mills) and Mike Halloran and Peter Werbe. That alone should get you ready for a revolution. If you add all that up, you can see it in the music we make and play,” he says. His favorite memory as a child was visiting the Detroit Institute of Arts and watching six of Marcel Duchamp’s Rotoreliefs spin around. His creative inspiration derived from a visionary esoteric place during a trip to Europe in 1991, when he realized that techno stretched to a global level beyond Detroit. During his trip he also had an experience at Dún Aonghasa, a fort on the Aran Islands near Galway, Ireland. An individual that is both scientifically-driven and spiritual, Gillen heard voices that told him to change his life path and to start creating music. Eventually, he listened and Interdimensional Transmissions was born, named after the guiding ancient voices that seemed to permeate into his reality. The label went on to become essential to the Detroit scene as Gillen had a mission to create techno for the city itself, not just for export. For several years he worked as music director at WCBN, a radio station at the University of Michigan. Erika Sherman, deemed co-conspirator of the label – joined the station’s efforts her freshman year. “We met pretty quickly through weekly music review meetings. I was spending a lot of time at the station volunteering and learning about music, and we became friends,” Sherman says. She eventually became program director of the Ann Arbor station and in 1997 Gillen asked her to join Ectomorph. 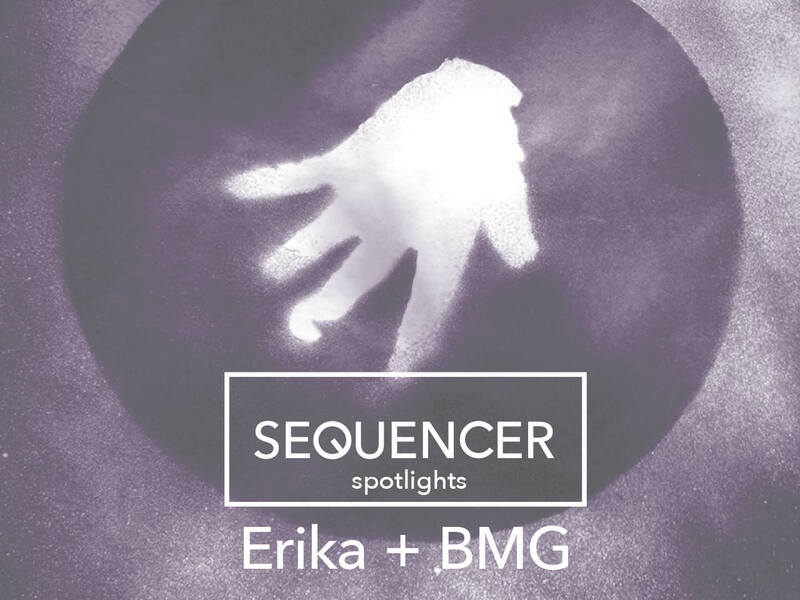 “There was a personnel change in Ectomorph and Erika seemed like a very interesting solution; she entered into the project and it was a long-term evolving education thing from which she later fully emerged as the artist you know today,” he says. The two have been creating sounds together with all analog live hardware sequencing under that name ever since. Daughter of a famous scientist, Sherman was born and raised in a home of technology and music. At a very young age she was well-known for developing a BBS (Bulletin Board System) as well as launching erika.net – a freeform streaming online radio station. “You can’t see it, you feel it. It exists without boundaries. It works within your mind but also on a multitude of primal levels. It connects us all, and reconnects us to things far beyond what we can see. For me it is my place of meditation of mental and personal growth, mental relaxation or mental exploration. Freedom for the mind,” Gillen says about why he loves music. Both Sherman and Gillen perform live as well as DJs. Sherman is well-known for her rare use of The Octopus in her live PA, which is a midi-sequencer that was discontinued by genoQs Machines after the company shutdown in 2010. With her upbringing in a science-based environment, it is clear she uses that influence in her creations; as an example, her video for “North Hex” takes tones of the song which are sent to different machines including computers, a World War II submarine oscilloscope and video synths, all of which are captured with real-time modulation. Through both of the artists productions and performances, it is clear that space exploration is a driving force for inspiration. What about this science and thought is so intriguing to these artists? In the early 2000s the sound of the scene changed, as did the environment. Minimal became hyper-prevalent and events in Detroit were being held in bars and clubs. It was that time in techno that many are familiar with, where there was a lull followed by a resurgence. Gillen made a phone call to Derek Plaslaiko, a Detroit native, and pitched an idea to reawaken the local scene: a party that would last 12 hours. In 2007 at an abandoned bank, No Way Back was created. The party has been housed in many places but is mostly known as an after-party at Detroit’s Movement festival and is now co-produced with New York City’s The Bunker. No Way Back is more than a party. It is an experience that is deep, contemplative and psychologically expansive. In the environment created, the dance floor is a place to transcend in the most primal and honest way. In recent years, it all takes place at Tangent Gallery and from moonlight to sunrise people are flowing in and out of the industrial blank art space building. Nearly 10 minutes from downtown Detroit – just beyond the entrance gate – the floor and the patio are packed. There is a chill room that glows in cool colors, music on the ambient side lets you flow into the space and there are chairs to sit back if you need some ease for just a moment. Past the bar, through the hallway, beyond that door, is the main room. It’s dark, and the temperature is high. Giant parachutes hang from the ceiling and military netting provides background behind the DJ; the label’s recognizable symbol of a hand can be found there as well. The environment is created to inspire certain feelings and vibrations – what you do with the experience is up to you. “That is the space I hope you can return to at our parties where the past the present and the future all exist on the same plane, and you are experiencing that without thinking about it. Our culture robs us of so much of the tribal highlights of living, and nothing beats the dance for actually stretching out your brain and resetting yourself for daily living. So the party must be a place where the mind can go free, and we respect that and structure our parties around that. A free open space for you to be you and to reunite with music, which was our language before words,” he continues. We forget in the daily minutia that our innocence is there to be embraced. We deny our darkness for fear of what we’ll see. Our concept of where we are and who we are with is sometimes not as clear because we do not take the time to really be aware. Interdimensional Transmissions in its cognitive and visionary nature brings you into the depths of what it all is, what it all means. Once you get a true glimpse, there truly is no way back. Catch both Erika and BMG for the next installation of Strange Allure in Buffalo, NY on Saturday, June 18. If you missed it, check the Sequencer Spotlight with Strange Allure.